Most people divide their back into the lower back and the upper back. 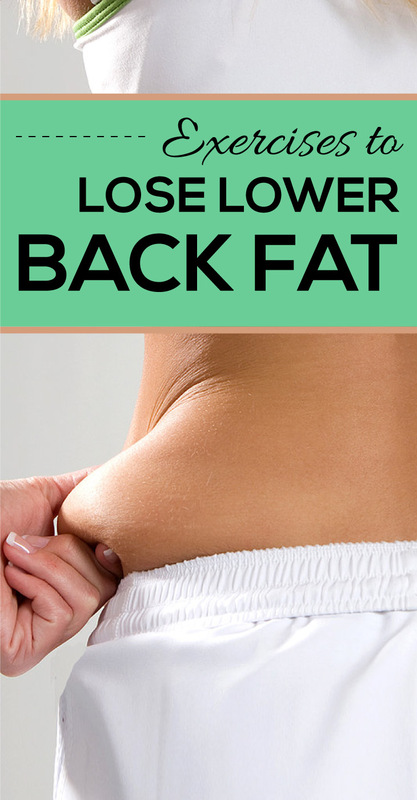 Some people want to lose lower back fat while other people desire to get rid of their upper back fat. Because it's very difficult to spot reduce fat from a particular body part, targeted strength exercises can do little do reduce your lower back fat. However, they can tone it and improve its appearance immensely. They can also make you more limber and alleviate back pain. That's why it's important to incorporate targeted exercises in your quest to lose lower back fat. Start: lie on the floor facing down with both hands at your side. Finish: Raise your head and upper back from the floor until you create a comfortable arch in your back. Hold this position for 3-7 seconds and lower your head and upper body back to the floor. Finish: Raise your head, both arms, and both legs slightly off the floor until your balanced on your midsection. Hold this position for a few seconds and lower yourself back to the mat. Start: The same as the straight arms and legs lift. Finish: Raise your right arm and left leg slightly off the floor. Hold this position for a few seconds. Lower yourself back to the mat. Switch sides. Start: Lie curled face down on a stability ball with both feet on the floor and your your pelvis and lower abdomen touching the ball. Place both hands at the back of your head. Finish: Raise your upper body without shifting your feet until your back is straight. Don't arch your back further than a straight position. Lower yourself back to the starting position. Whatever you do in these exercises, should you begin to experience back pain, stop immediately. And remember, these exercises are an addition to an overall diet and exercise program which will will reduce your overall body fat and your lower back fat in the process, they are not the only measure. Incorporate them into your regular workouts. They will do wonders to the health and appearance of your lower back.